We tell ourselves stories in order to live. The princess is caged in the consulate. The man with the candy will lead the children into the sea. 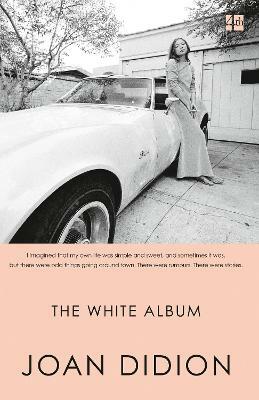 In this now legendary journey into the hinterland of the American psyche, Didion searches for stories as the Sixties implode. She waits for Jim Morrison to show up, visits the Black Panthers in prison, parties with Janis Joplin and buys dresses with Charles Manson's girls. She and her reader emerge, cauterized, from this devastating tour of that age of self discovery into the harsh light of the morning after.